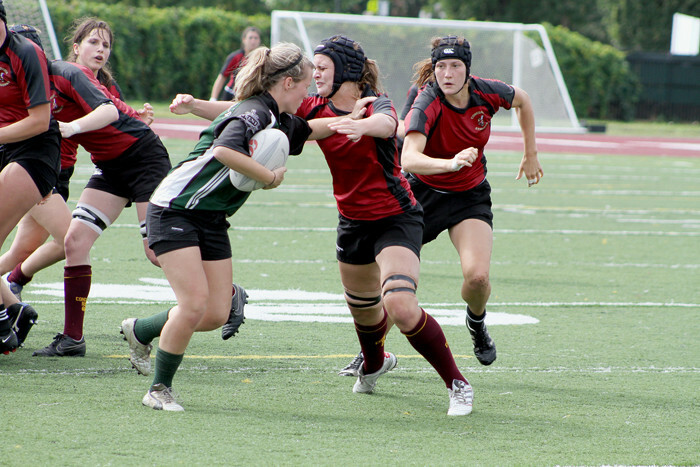 “I thought the effort by the girls who had come back, who were mostly the girls you saw in the first half, was fantastic,” said head coach Graeme McGravie on Saturday’s 74-17 win over Trent University. After taking a huge lead into halftime during the game against Trent, McGravie decided to experiment by replacing his entire backline with some of his less experienced players. Rookies will occupy about half of the spots on the 2010 roster. Notable additions include back-rower Cara Stuckey and fullback Jenna Giuliani, who both played for the Dawson Blues and Ormstown Saracens, as well as scrum half Jessie Lapointe. “Those three for sure are probably the ones who stood out the most as far as rookies go,” McGravie said of Saturday’s performance. Some of the players who will not be back are centre Laura Belvedere, no. 8 Vanessa Grillo and scrum half Robin Hunter. While the Stingers lost a veteran in Hunter, they will have to do without Grillo, who has decided to put her university career on hold and attend John Abbott College to become an ambulance technician. The Stingers have made it to nationals twice out of the last three years, with their last appearance ending in a loss to the Guelph Gryphons in the bronze-medal game. 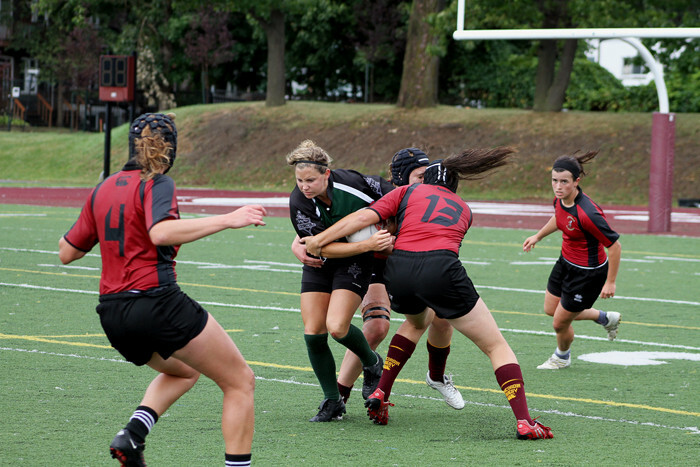 The Stingers improved their preseason record to 2-0 on Sunday as they beat the University of Western Ontario 24-10. 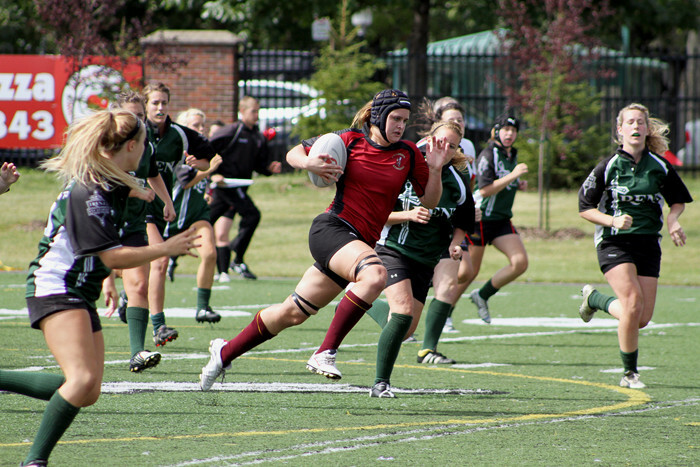 Concordia will host the sixth annual Kelly-Anne Drummond Cup on Sept. 8 at 8:30 p.m. against McGill. The game is meant to commemorate Drummond—a former member of the women’s rugby team who was murdered in 2004, and raise funds for Women Aware—a group based in Montreal whose goal is to assist women who have experienced violence. Those looking to make a donation can do so at the game in the form of cash. New to this year’s event is a Stingers alumni rugby sevens game against the West-Island based Montreal Barbarians, which will be played during halftime.